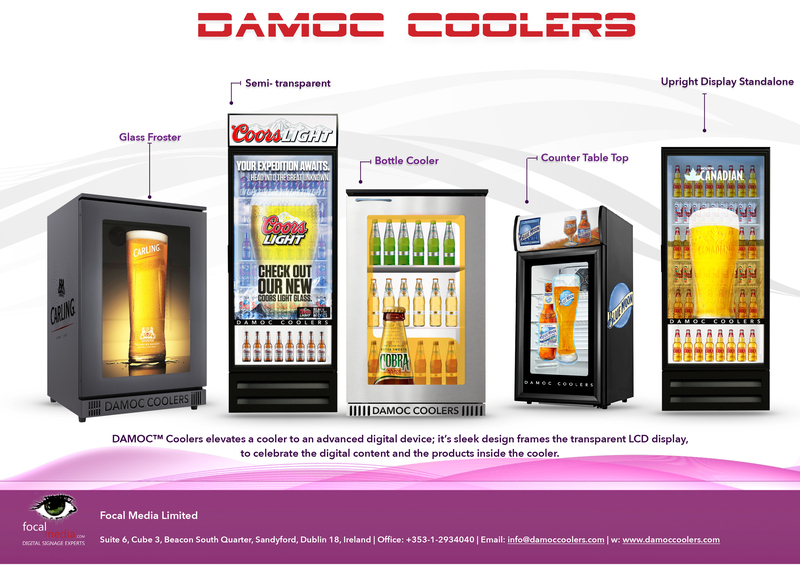 DAMOC Coolers elevates a cooler to an advanced digital device. In combination with transparent display technology this innovative digital cooler replaces the entire conventional front door glass with a transparent Digital LCD Display assembly. The transparent LCD allows for clear viewing of product through the glass, while simultaneously having the ability to run Full HD content in a “see-thru” manner in front of the product. 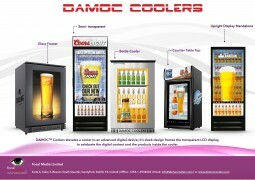 The DAMOC™ Cooler is truly a turn-key solution with all required technology and hardware included. DAMOC COOLERS : ODEON in Liverpool for Pepsi Max.